24 Hour Kick out Clause. The nicest home you'll see on the best street in Indialantic! SOFA just a couple blocks to the beach. Great neighborhood w/newer upscale homes on an oak tree filled dead end street. Picture perfect setting. Immaculate concrete block home w/brand new $79,000 tile roof w/the best underlayment money can buy. 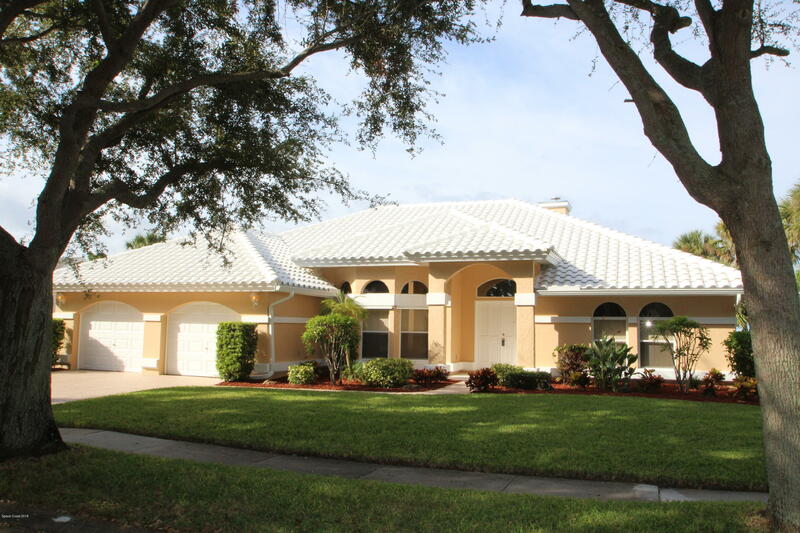 Huge screened porch & patio area overlooking tropical screened pool & privacy fenced back yard. Also features pool bath & pass thru from kitchen. Large open great room floor plan w/triple pocket sliders leading to pool, high vault ceilings & fireplace. Eat-in kitchen w/quality appliances & granite countertops. Tile floors throughout living areas. New AC in 2015 & brand new ductwork in 2018. New Int & Ext pant. This home is pristine condition. One of a kind.